A traditional Nordic double ender built in Kolbjornsvik, Norway in 1962. The design is based on the traditional Nordic boats that have been used for centuries for fishing, transport and trading. 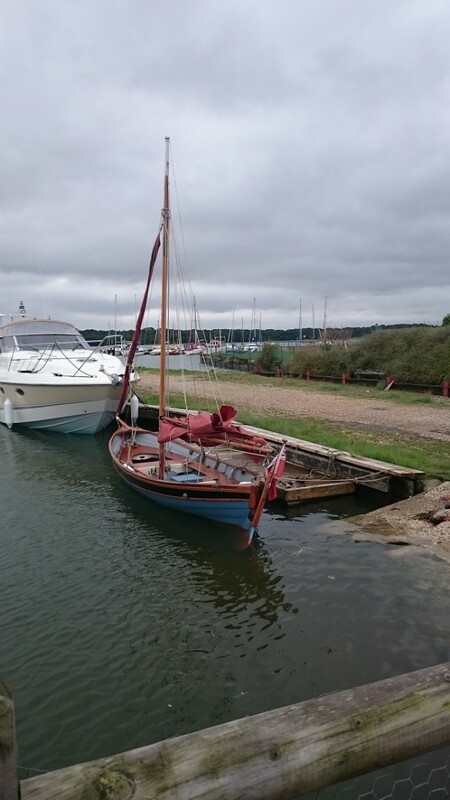 A raking bow with a fine entry, flat keel and a sweeping sheer back to a sweet canoe stern with a stern post hung rudder. 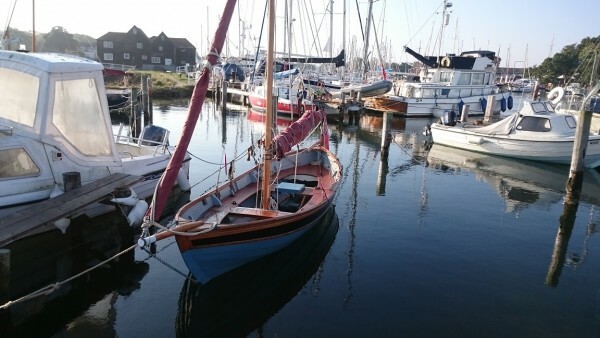 A very beautiful and eye catching little boat, most unusual in UK waters and in very smart and sound condition. Clinker planked in larch all copper rivet fastened to steamed oak timbers. External iron ballast keel fastened with mild steel keel bolts. Grown oak floors across the centreline. 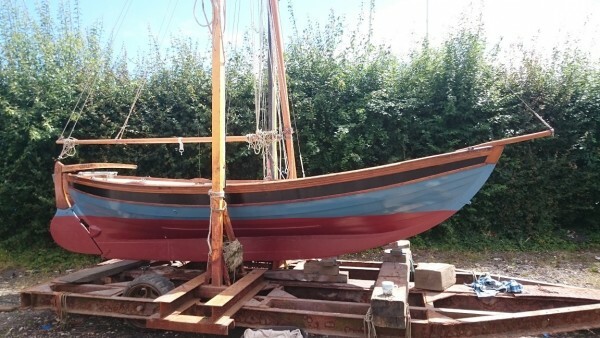 Painted hull with the sheer strake picked out in black and a varnished rubbing strake and capping rail. 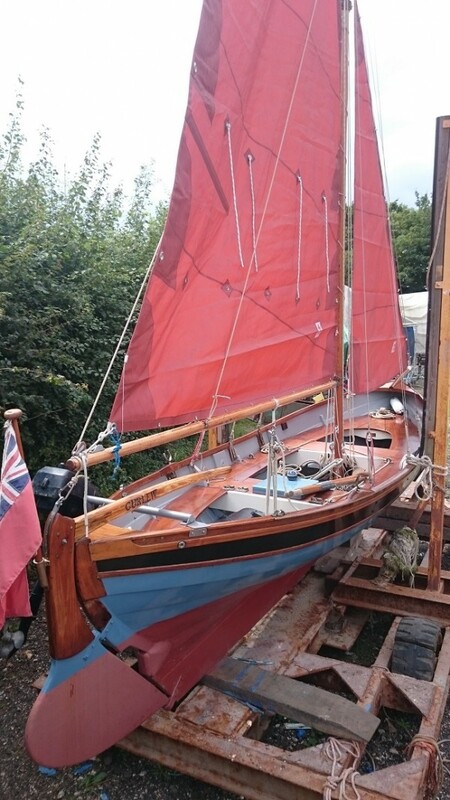 Seating either side stretching from stem to stern with two athwartship seats. Stern post hung rudder with a varnished tiller. Stainless steel standing rigging with lanyards to external chain plates. Main and jib in tan terylene by Crusader Sails. 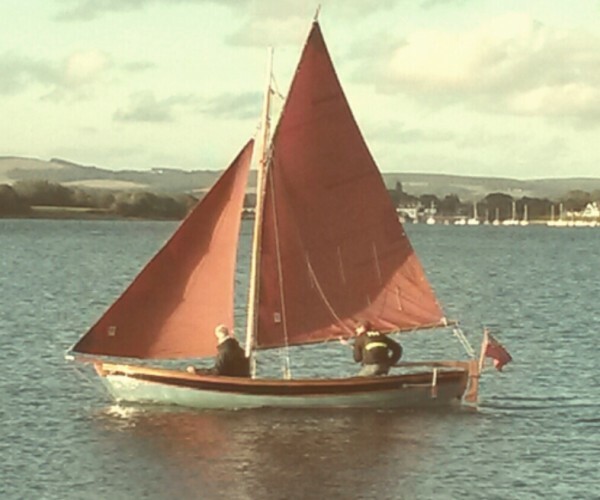 Slab reefing main, jib on a simple roller furling system set for the bowsprit end.